Vendors please get signed up today! Attendees and anyone seeking continuing education, MARK YOUR CALENDARS! 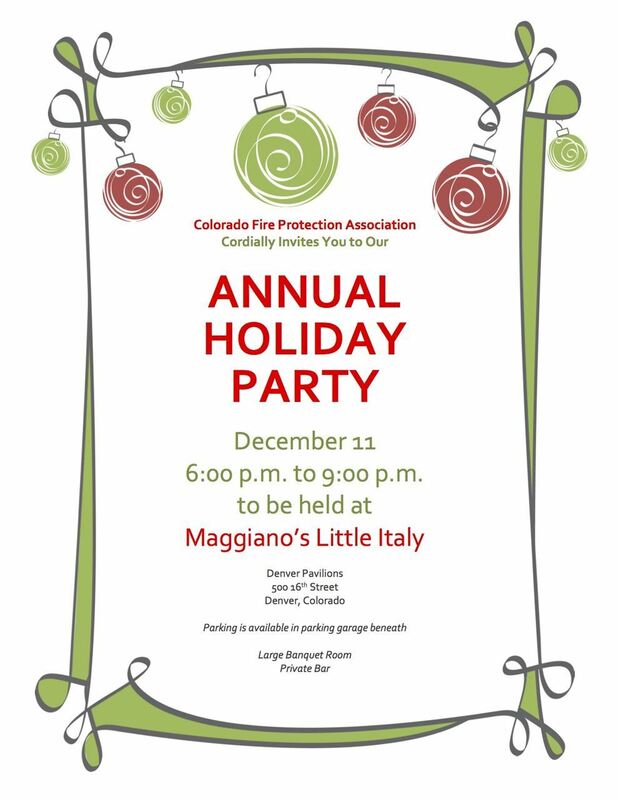 Annual Holiday Celebration set for Monday Dec 11 at Maggiano's Denver Pavilions.